Your business never sleeps. That’s why you need a warehouse storage solution that offers convenient, round-the-clock access to your supplies, equipment, inventory, or other belongings. You also need a storage warehouse you can trust. At Access Storage Now, our contractor warehouse space is monitored by 24/7 video surveillance and secured by electronic gates with keypad entry. Access Storage indoor storage units offer ample space for storing materials. 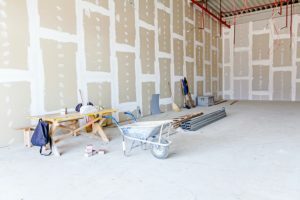 These amenities and features collectively make Access Storage Now the ideal partner for businesses in need of self-storage space to rent. If you are a contractor interested in renting indoor storage space to house your materials, feel free to contact one of our knowledgeable storage experts by filling out our quick reservation form or give us a call today.